Strong momentum and innovation in clinical communications results in significant company growth over the past year. SANTA MONICA, CA – TigerText, the nation’s leading provider of clinical communication solutions for the healthcare industry, marked another successful year of record growth, solidifying partnerships with over 300 healthcare organizations. 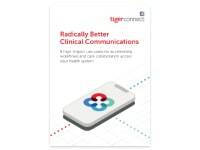 The company’s large-scale, enterprise implementations reinforce exciting momentum, joining the ranks of more than 3,000 healthcare customers who have selected TigerText as their clinical communications provider. 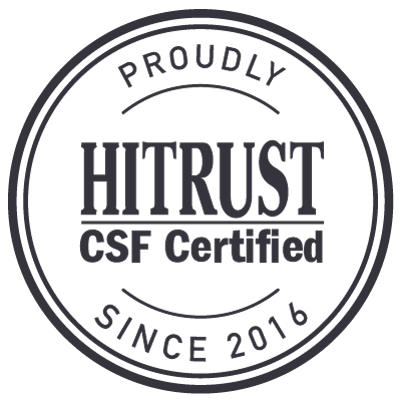 This growth is supported by the addition of two strategic hires, the launch of TigerFlow, TigerText’s workflow solution, and a prestigious HITRUST certification achievement, demonstrating the company’s focus in healthcare and unwavering commitment to optimizing mobile clinical communications across the care continuum as the industry rapidly evolves. TigerText has now partnered with major healthcare organizations and their multiple facilities that include five of the 10 largest health systems in the U.S. These partnerships have enabled thousands of care teams to better communicate and collaborate with each other at the point of care, sending more than 10 million total messages across the TigerText platform per day. Further enhancing the company’s executive experience, TigerText recently brought on two new hires with extensive healthcare expertise: Kirk Paul Kirkman, President of the TigerText Client Organization, and Kelli Castellano, Chief Marketing Officer. Both Kirkman and Castellano have joined TigerText to accelerate growth as the healthcare industry increasingly embraces secure messaging as part of its workflow. Kirkman and Castellano bring a strong focus and commitment to improving patient outcomes and physician and nurse satisfaction. TigerText’s recent introduction of TigerFlow positions the company to capitalize on the next wave of opportunity in healthcare communications by providing a comprehensive clinical communications platform designed to optimize healthcare workflows for improved productivity, profitability, patient outcomes and provider satisfaction. 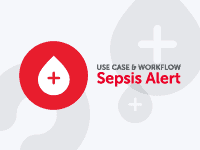 TigerFlow combines a mobile communication platform with data integration capabilities, end-to-end workflow consultation services, and on-demand data analytics to help healthcare organizations overcome their clinical communication challenges. 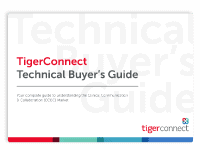 For additional information about TigerText’s offering, visit https://tigerconnect.wpengine.com/solutions/. Follow TigerText on Twitter (@tigertext) and visit tigerconnect.wpengine.com to learn how they help customers like RWJBarnabas, Geisinger, and Lifepoint solve healthcare’s biggest communication challenges.